The Old Stables sits on the ground floor in the village of Holtonnear to the town of Oxford in Oxfordshire. It includes one double bedroom and a shower room, the property can sleep two people. Its interior also offers an open-plan living room containing a kitchen, a dining area and a sitting area. To the outside you will discover plenty of off road parking, a patio with furniture and 15 acres of grounds. 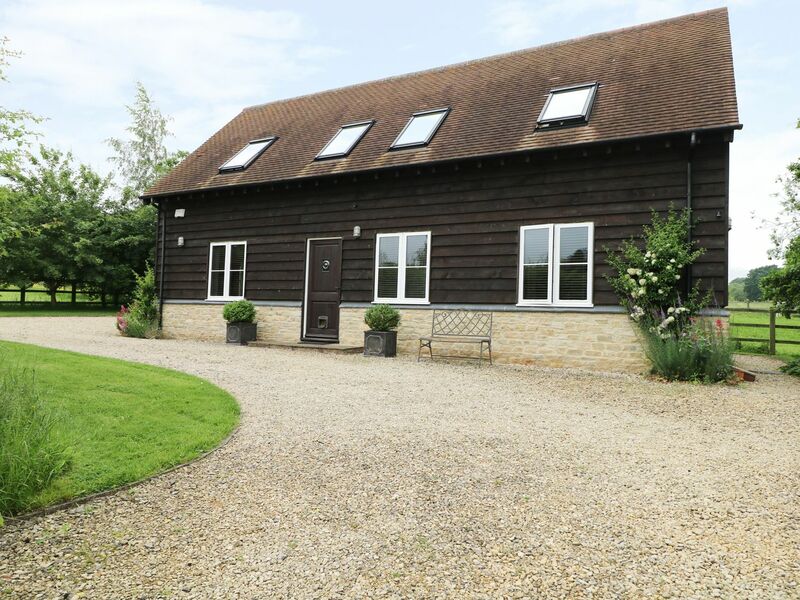 The Old Stables is a homely base for couples to enjoy that deserved, relaxing break. All ground floor. One double bedroom. Shower room with basin and WC. Open-plan living room with kitchen, dining area and sitting area. Gas central heating. Electric oven and hob, microwave, fridge//freezer, washing machine, dishwasher, TV, WiFi. Fuel and power inc. in rent. Bed linen and towels inc. in rent. Ample off road parking. Patio with furniture, 15 acres of land. Sorry, no pets and no smoking. Shop and pub 1 mile.